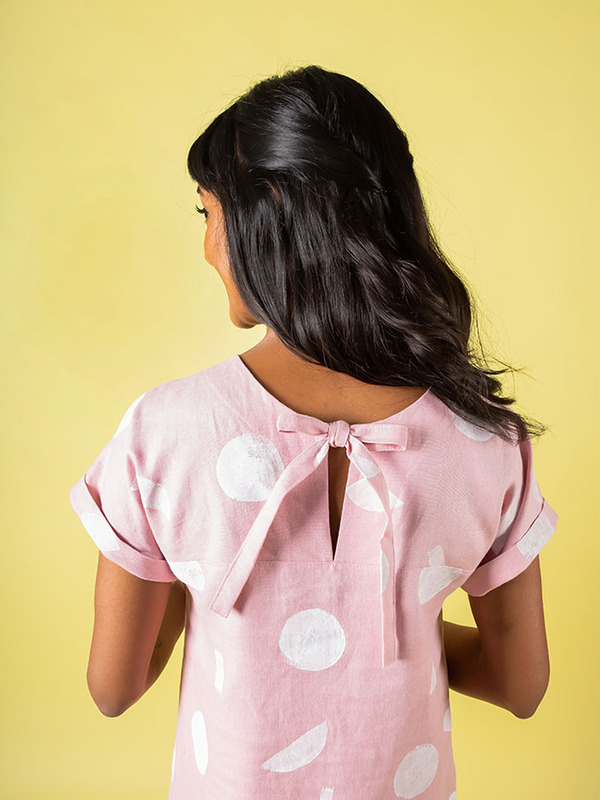 Ease yourself in gently with a project that doesn’t require too much precision sewing. Look for straight lines and not too many pieces, and avoid techniques such as darts, gathering and pleating until you’ve got a few makes under your (homemade) belt. Start simple, and you can progress to the more complex projects later on. 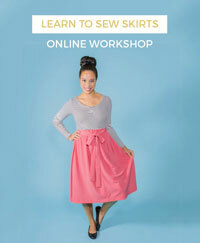 Try these cute and easy-peasy projects to show you the basics of construction - Dominique skirt, Brigitte Scarf and Bow Belt. Just as important as simple construction, check that the project is compatible with fabric that's easy to sew. 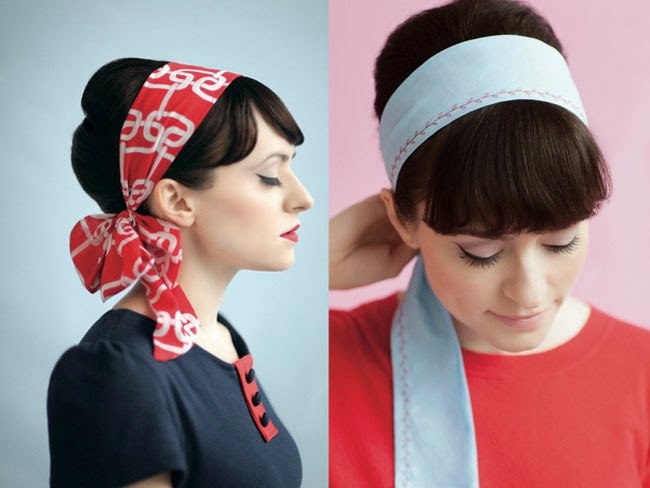 While you’re still getting used to your sewing machine, the last thing you want to do is sew material such as silk which will slide all over your machine, or a stretchy jersey that may leave your seams wiggly. Medium-weight woven cottons are perfect to get started with as they lie flat, press well and don’t slip around. They come in lots of tempting prints (patterned prints hide dodgy stitching!) and are easy to find in fabric shops and department stores. 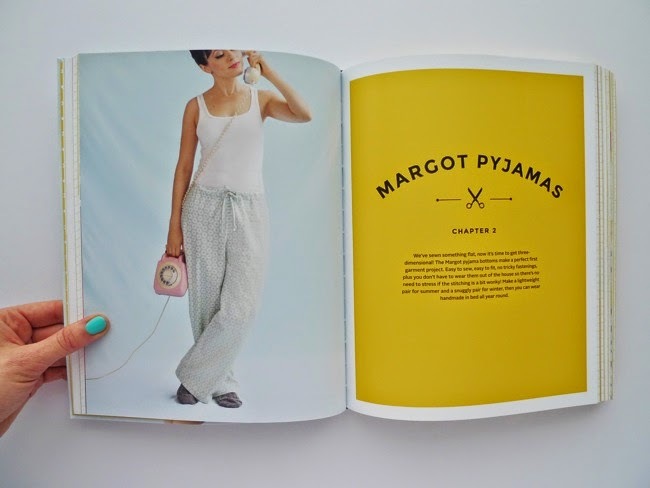 Give them a whirl with the Margot pyjamas pattern, which is included in my book, Love at First Stitch. Or choose a chambray or linen to make an easy breezy Stevie tunic for summer. Inserting zips or getting to grips with the buttonhole function on your sewing machine can be a little daunting to new stitchers. If you don’t feel ready to sew zips and buttonholes just yet, don’t! 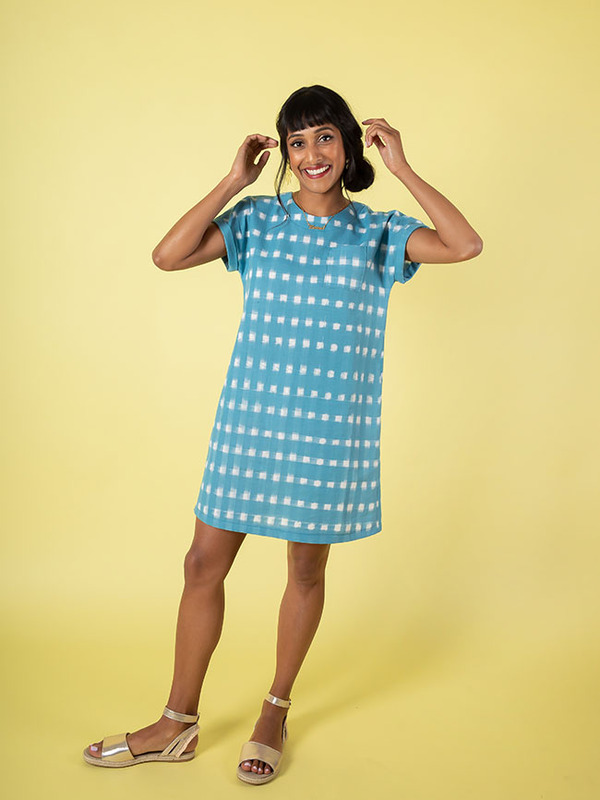 Choose a project without fastenings for now, such as the Bettine dress which you can just throw over your head, and the Stevie tunic which fastens with a tie or hairband (yes, really!). You might want to avoid set-in sleeves too - the kind that you insert into the armhole as a tube - until you're more confident with your sewing. 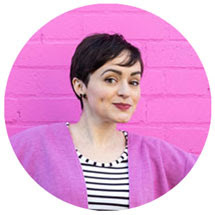 Bettine and Stevie are both great beginner projects as they have "grown-on" sleeves which are cut and sewn in one with the bodice. Hooray! One of the best things about making your own clothes is that you can tailor them to fit you. If you've ever struggled in a shop changing room, this will be a welcome relief! 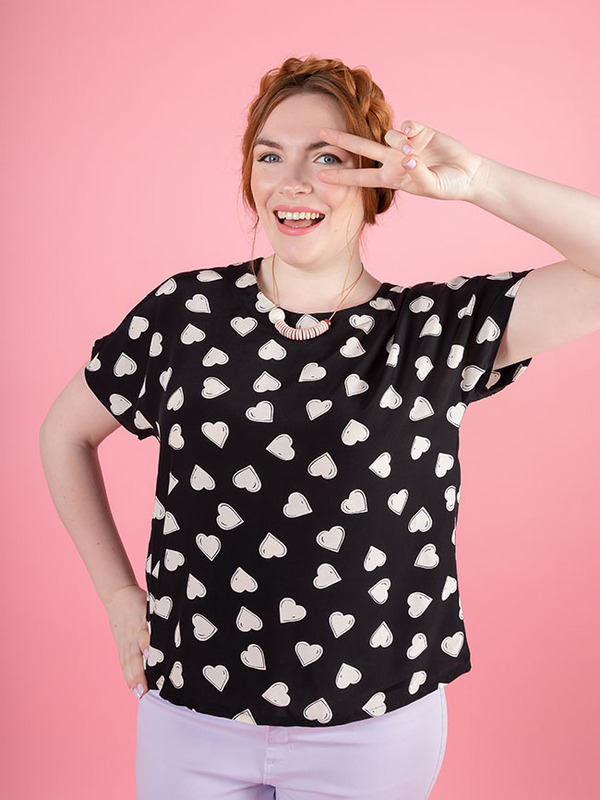 However, since we’re all different shapes, getting a fitted bodice or trousers to mould perfectly around your lady curves can sometimes take a bit of work - so save the fun of a very fitted garment for later. Choose a simpler shape, such as the A-line Miette skirt which you can adjust the fit of with the waist ties. The Cleo dungaree dress is easy to fit too, as the style only really needs to fit your hips - hooray! 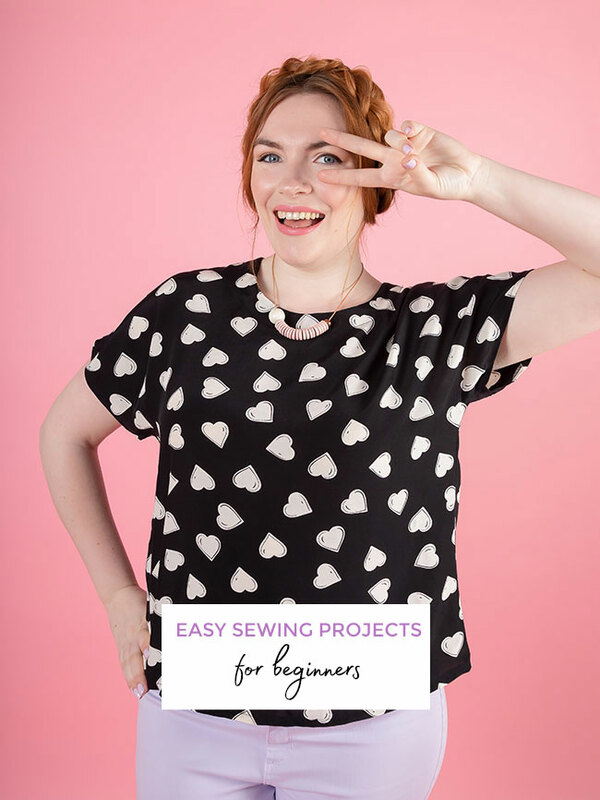 My final tip for beginner sewing projects is to choose something you can see yourself making more than once. Practising the techniques and steps in a pattern a second (or third) time is great for cementing what you’ve learnt, and it will make you feel good about your progress. Wishing you lots of fun with your sewing projects! If you've sewn before, what was the first thing you made and how did it go? Do share!